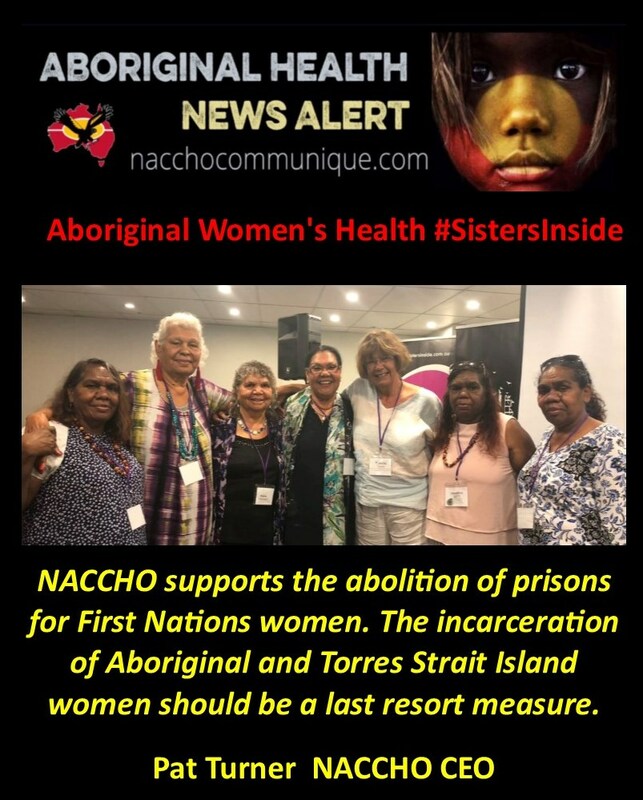 “ NACCHO supports the abolition of prisons for First Nations women. The incarceration of Aboriginal and Torres Strait Island women should be a last resort measure. Sisters Inside responds to criminalised women and girls’ needs holistically and justly. We work alongside women and girls to build them up and to give them power over their own lives. We support women and girls to address their priorities and needs. We also advocate on behalf of women with governments and within the legal system to try to achieve fairer outcomes for criminalised women, girls and their children. At Sisters Inside, we call this ‘walking the journey together’. We are a community and we invite you to be part of a brighter future for Queensland’s most disadvantaged and marginalised women and children. In Picture above Dr Jackie Huggins, Pat Turner, Jacqui Katona, Dr Chelsea Bond and June Oscar, Aunty Debbie Sandy and chaired by Melissa Lucashenko. Panel: Why abolition for First Nations Women? The Australian justice system was founded on a white colonial model that consistently fails and seeks to control and supress Aboriginal and Torres Strait Islander peoples. Our experiences of incarceration are not only dehumanising. They contribute to our ongoing disempowerment, intergenerational trauma, social disadvantage, and burden of disease at an individual as well as community level. struggle with housing insecurity, poverty, mental illness, disability and the effects of trauma. Family violence must be understood as both a cause and an effect of social disadvantage and intergenerational trauma. Imprisoning women affects the whole community. Children are left without their mothers. The whole community suffers. The Kimberley Suicide Prevention Trial, of which NACCHO is a member, provides a grim example of the link between trauma, suicide, incarceration and the social determinants of health. The rate of suicide in the Kimberley is seven times that of other Australian regions. Nine out of ten suicides involve Aboriginal people. Risk factors include imprisonment, poverty, homelessness and family violence. Western Australia has the highest rate of Aboriginal and Torres Strait Islander imprisonment. Institutional racism affects our everyday encounters with housing, health, employment and justice systems. Exposure to racism is associated with psychological distress, depression, poor quality of life, and substance misuse, all of which contribute significantly to the overall ill-health experienced by Indigenous people. We are twice as likely to die by suicide or be hospitalised for mental health or behavioural reasons. Racism is a key driver of ill-health for Indigenous people, impacting not only on our access to health services but our treatment and outcomes when in the health system. 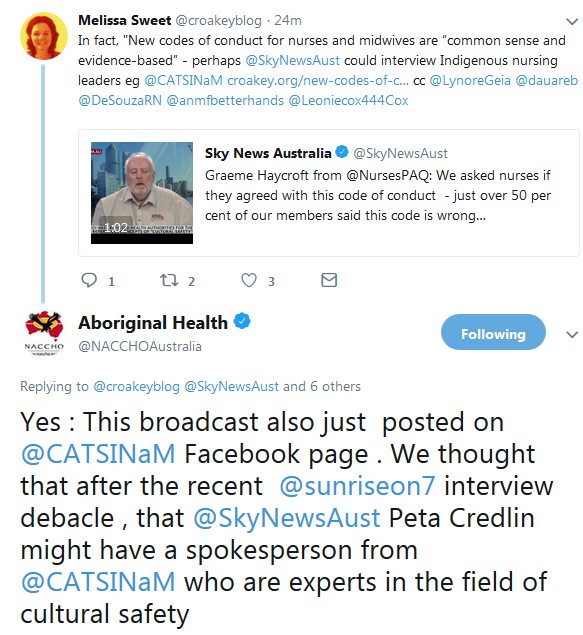 Institutional racism in mainstream services means that Indigenous people do not always receive the care that we need from Australia’s hospital and health system. It has been our experience that many Indigenous people are uncomfortable seeking help from mainstream services for cultural, geographical, and language disparities as well as financial costs associated with accessing services. The combination of these issues with racism means that we are less likely to access services for physical and mental health conditions, and many of our people have undetected health issues like poor hearing, eyesight and chronic conditions. The Aboriginal Community Controlled Health model provides answers for addressing the social determinants of health, that is, the causal factors contributing to the overrepresentation of Indigenous women’s experiences of family violence and imprisonment. Aboriginal Community Controlled Health organisations should be funded to undertake comprehensive, regular health check of Aboriginal women so that risk factors are identified and addressed early. Overall, the Aboriginal Community Controlled Health model recognises that Aboriginal and Torres Strait Islander people require a greater level of holistic healthcare due to the trauma and dispossession of colonisation which is linked with our poor health outcomes. Aboriginal Community Controlled Health is more sensitive to the needs of the whole individual, spiritually, socially, emotionally and physically. The Aboriginal Community Controlled Model is responsive to the changing health needs of a community because it of its small, localised and agile nature. This is unlike large-scale hospitals or private practices which can become dehumanised, institutionalised and rigid in their systems. Aboriginal Community Controlled Health is scalable to the needs of the community, as it is inextricably linked with the wellbeing and growth of the community. The evidence shows that Aboriginal Community Controlled organisations are best placed to deliver holistic, culturally safe prevention and early intervention services to Indigenous women. 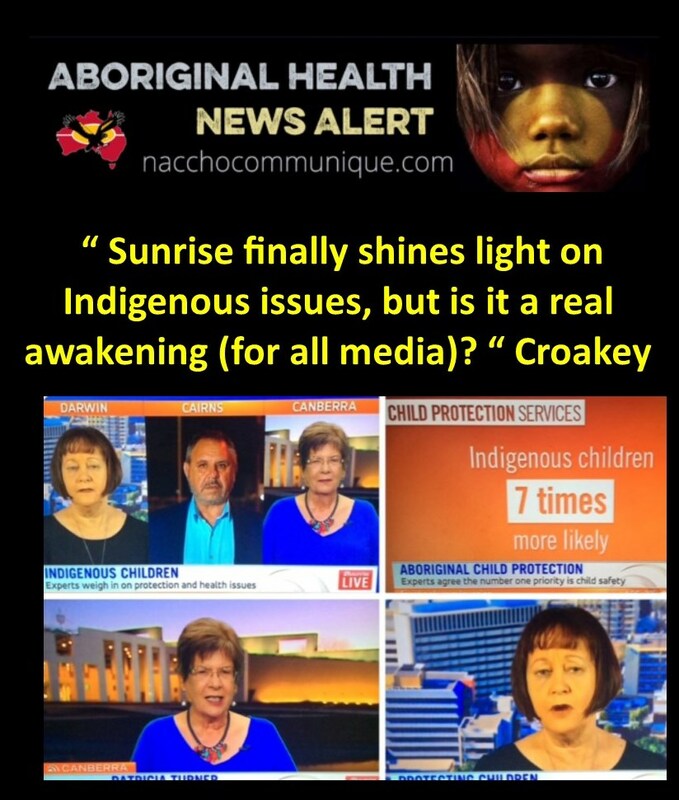 NACCHO is the national peak body representing 145 ACCHOs across the country on Aboriginal health and wellbeing issues. In 1997, the Federal Government funded NACCHO to establish a Secretariat in Canberra, greatly increasing the capacity of Aboriginal peoples involved in ACCHOs to participate in national health policy development. Aboriginal Community Controlled Health first arose in the early 1970s in response to the failure of the mainstream health system to meet the needs of Aboriginal and Torres Strait Islander people and the aspirations of Aboriginal peoples for self-determination. 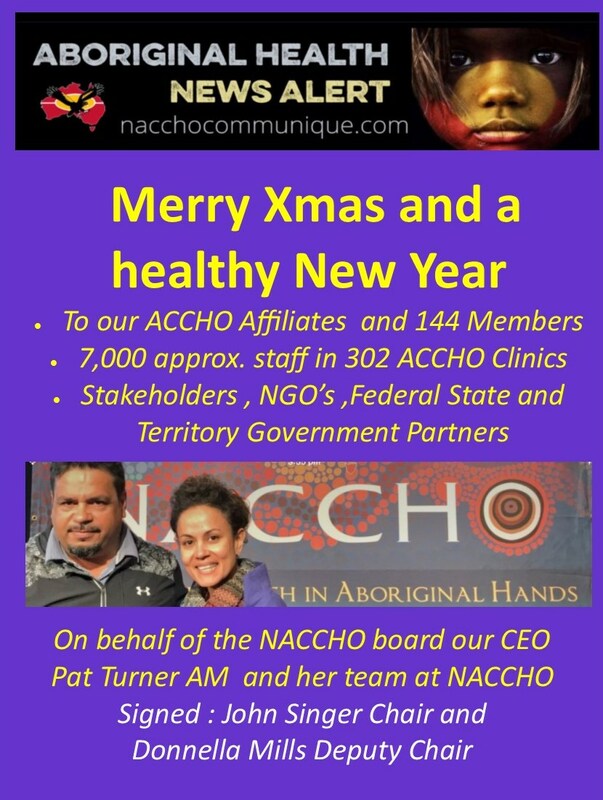 An ACCHO is a primary health care service initiated and operated by the local Aboriginal community to deliver holistic, comprehensive, and culturally appropriate health care to the community which controls it, through a locally elected Board of Management. ACCHOs form a critical part of the Indigenous health infrastructure, providing culturally safe care with an emphasis on the importance of a family, community, culture and long-term relationships. Our members provide about three million episodes of care per year for about 350,000 people. In very remote areas, our services provided about one million episodes of care in a twelve-month period. Collectively, we employ about 6,000 staff (most of whom are Indigenous), which makes us the single largest employer of Indigenous people in the country. [iii] file://nfs001/Home$/doris.kordes/Downloads/748-Article%20Text-1596-5-10-20180912.pdf – John Rynne and Peter Cassematis, 2015, Crime Justice Journal, Assessing the Prison Experience for Australian First Peoples: A prospective Research Approach, Vol 4, No 1:96-112. [iv] Australian Institute of Health and Welfare. 2018. Family, domestic and sexual violence in Australia. Canberra. [vi] ‘A culture of disrespect: Indigenous peoples and Australian public institutions’. 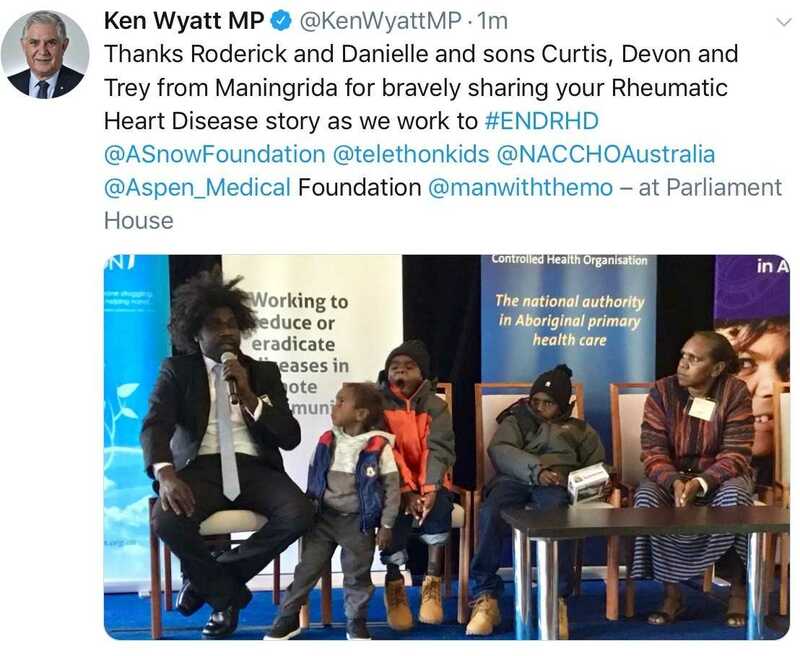 NACCHO Aboriginal Health Workforce and Training News : Our peak bodies @KenWyattMP and @CPMC_Aust Building the Aboriginal and Torres Strait Islander health workforce and strengthening alliances to address the health priorities of Indigenous Australians. ” NACCHO stresses the importance of continuing to grow the depth and number of Indigenous people in the health sector. Improving the health of our people can only occur through partnership, and integrating health care providers with community controlled services is the key. “Background : On 31 May 2017 the Australian Government joined with the Council of Presidents of Medical Colleges, the Australian Indigenous Doctor’s Association and the National Aboriginal Community Controlled Health Organisation as partners to improve the good health and wellbeing for Aboriginal and Torres Strait Islander peoples. Introducing the forum held on Wednesday 12th September at Parliament House, Minister Ken Wyatt AM, welcomed the opportunity to continue discussions under the National Partnership, highlighting the Australian Government’s commitment to Closing the Gap as the platform for improving the health and wellbeing for Aboriginal and Torres Strait Islander peoples. The decision by Australian Health Ministers through the Council of Australian Governments Health Council to develop a National Aboriginal and Torres Strait Islander Health Workforce Plan by 2019 was welcomed by the collaborative partners. Discussing the key areas of the partnership, cultural safety and access to services remain top priorities. The Chair of the Council of Presidents of Medical Colleges (CPMC) Dr Philip Truskett AM reported that the key focus area of increasing the Indigenous specialist medical workforce by focussing on support, mentoring, role modelling was core business for Australia’s specialist Medical Colleges. Indigenous Health Minister Ken Wyatt AM said the collaborative group was ideally placed to play an essential role in the COAG Health Council resolution to develop a National Aboriginal and Torres Strait Islander Health and Medical Workforce Plan – to ensure more Aboriginal doctors, nurses and health workers on country and in our towns and cities, local warriors for health among our families and communities. Dr Kali Hayward, President Australian Indigenous Doctor’s Association (AIDA) reflected on building culturally appropriate health workforce and the need to discover champions in the system to support training. 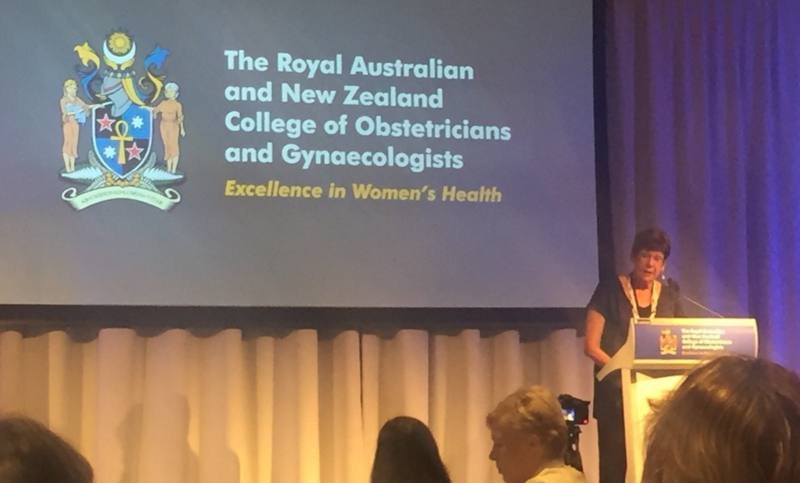 Ms Janine Mohammed, CEO Congress of Aboriginal and Torres Strait Islander Nurses and Midwives (CATSINaM) highlighted the merit in greater coordination of services to deliver improvements in health outcomes. Mr Karl Briscoe, CEO, National Aboriginal and Torres Strait Islander Health Workers Association (NATSIHWA) highlighted the importance of building the Aboriginal and Torres Strait Islander health workforce and strengthening alliances to address the health priorities of Indigenous Australians. 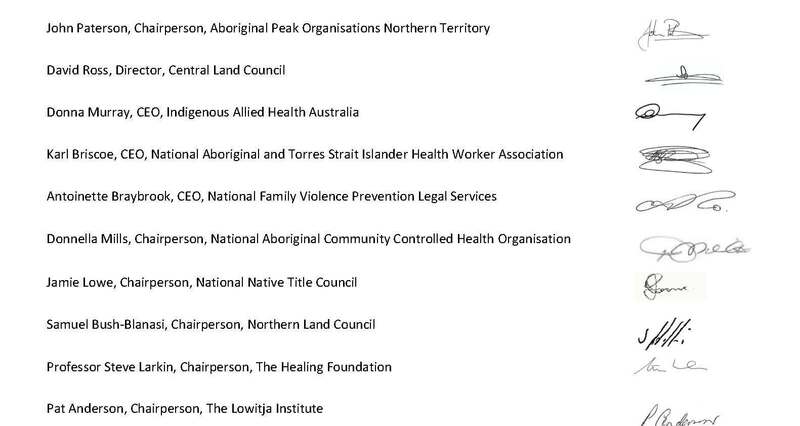 All partners acknowledged a National Aboriginal and Torres Strait Islander Health Workforce Plan will form the framework for furthering collective action to increase the Indigenous health workforce and embed a cultural safety capability in Australia’s health system. “ A reconciled nation will be when Aboriginal and Torres Strait Islander peoples have self-determination over their own lives without the constraints of poverty and the burden of disease. We will be in charge of our own affairs and in control over decisions that impact on us. Our past will be fully acknowledged and our collective future celebrated without reservation. There will be no more debates over our shared history and Aboriginal and Torres Strait Islander peoples’ land ownership. Racism will not be a barrier to Aboriginal and Torres Strait Islander people accessing education, employment and health services. 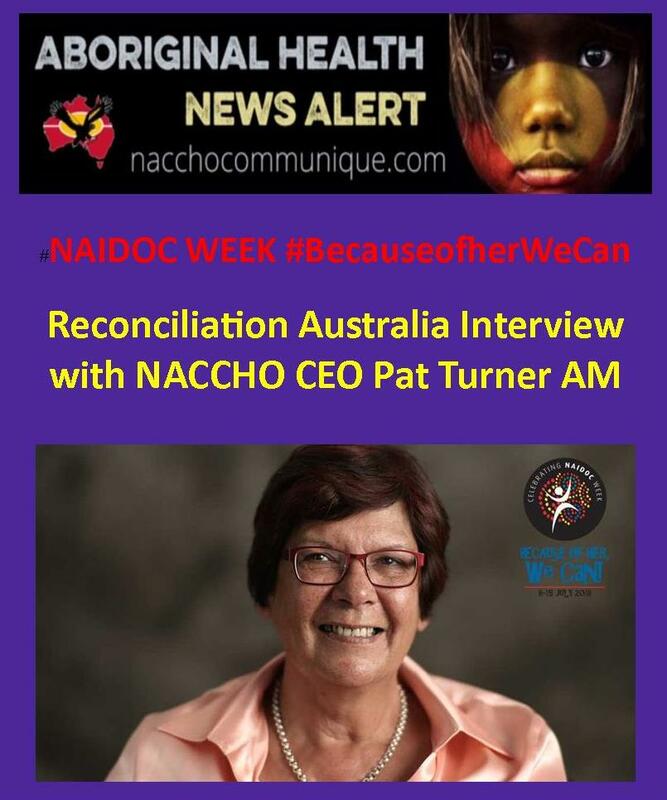 Pat Turner AM NACCHO CEO interview with Reconciliation Australia when asked : What does a reconciled Australia look like to you? Ms Pat Turner AM is the daughter of an Arrernte man and a Gurdanji woman, and was born and raised in Alice Springs. After her father’s death in an accident at work, Ms Turner’s family experienced extreme financial hardship. Her mother’s courage and leadership in the face of such difficult circumstances was a constant inspiration. Ms Turner joined the Australian Public Service in the early 1970s and joined the senior executive ranks by the mid-1980s. She worked in a range of prominent roles, including as Deputy Secretary in the Department of the Prime Minister and Cabinet during 1991-92, where she had oversight of the establishment of the Council for Aboriginal Reconciliation. In 1994-98, Ms Turner was the CEO of the Aboriginal and Torres Strait Islander Commission, making her the most senior Indigenous government official in the country. Over the years, Ms Turner became more committed to the politics of self-determination. At a professional level, this meant being a firm supporter of community-based service delivery of health and welfare programs for Aboriginal people. 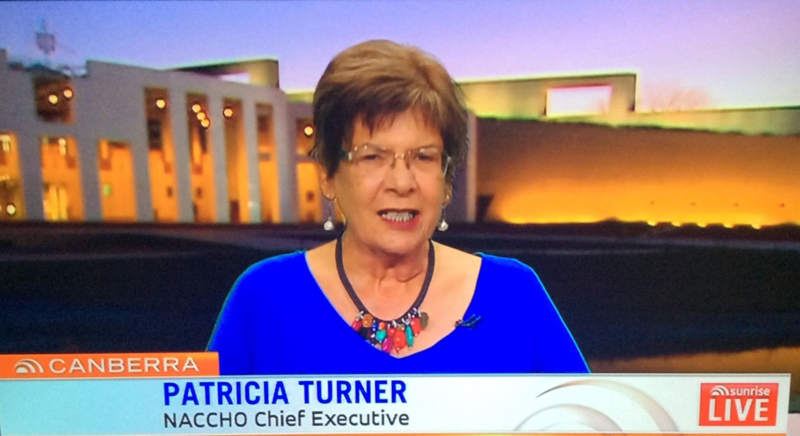 Today, Ms Turner is the CEO of the National Aboriginal Community Controlled Health Organisation (NACCHO). 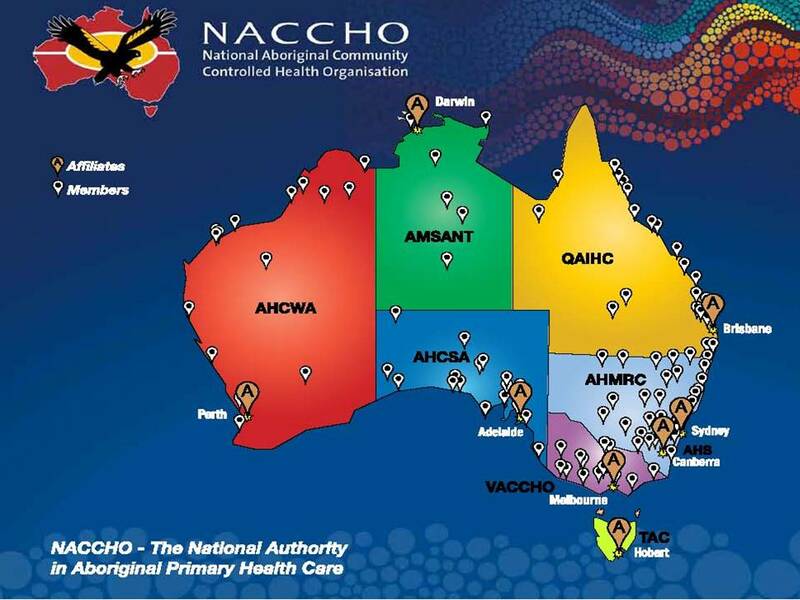 NACCHO is the peak body representing 144 Aboriginal community-controlled health services across the country on Aboriginal health and wellbeing issues. Interview continued: What or who got you involved in reconciliation? I first started thinking about reconciliation and the place of Aboriginal people in Australia after attending the graduation ceremony of Uncle Charlie Perkins from Sydney University with Nanna Hetty Perkins. I was thirteen at the time, and listening to Charlie speak, I started to understand the importance of education if I wanted to make a difference. After joining the Australian Public Service and moving from Alice Springs to Canberra, I was later appointed Deputy Secretary, Department of Prime Minister and Cabinet. It was here I had a specific role in working for the Government on the legislation and establishment of the Council of Aboriginal Reconciliation. I was the inaugural National Secretary to the Council. After returning to Alice Springs in 2006 I held the position of CEO of National Indigenous Television where I supported the celebration of Indigenous culture and helped challenge perceptions and fears of many non-Indigenous Australians about Aboriginal and Torres Strait Islander peoples that are a continuing barrier to reconciliation. Firstly, making both Federal and State Governments truly accountable to eliminate poverty and disadvantage endured by our people. Secondly, acceptance and respect by all Australians of our unique cultural heritage and identities, our relationship with land, our languages and our cultural practices, so that those areas and the essence of our beings are incorporated into all aspects of Australian life and government efforts to eliminate our disadvantage. “ The life expectancy gap has in fact started to widen again and the Indigenous child mortality rate is now more than double that of other children. 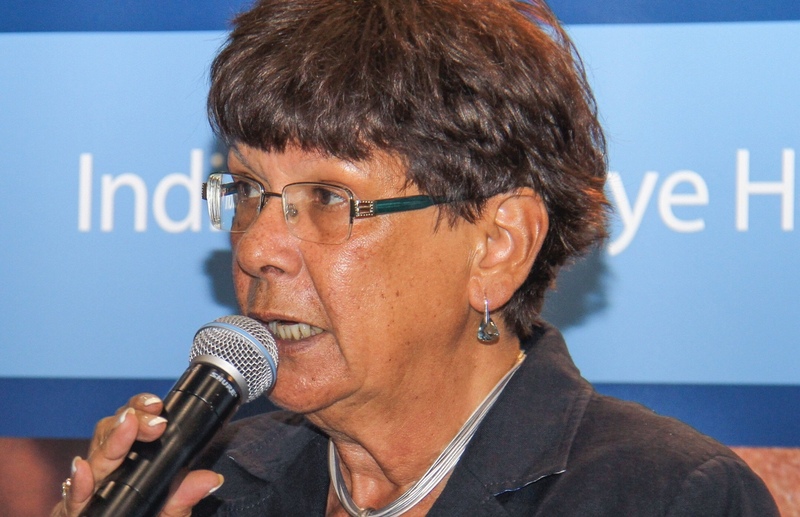 Close the Gap Campaign Co-Chair and Aboriginal and Torres Strait Islander Social Justice Commissioner, June Oscar AO, said the Close the Gap strategy began in 2008 with great promise but has failed to deliver. The Close the Gap targets should remain, as should the National Indigenous Reform Agreement framework and associated National Partnership Agreements. They serve to focus the nation and increase our collective accountability. This starts with Aboriginal and Torres Strait Islander peoples, their community controlled health organisations and peak representatives having a genuine say over their own health and wellbeing and health policies. “Increased funding is needed for ACCHOs to expand in regions where there are low access to health services and high levels of disease, and in areas of mental health, disability services and aged care. ACCHOs have consistently demonstrated that they achieve better results for Aboriginal and Torres Strait Islander peoples, at better value for money. 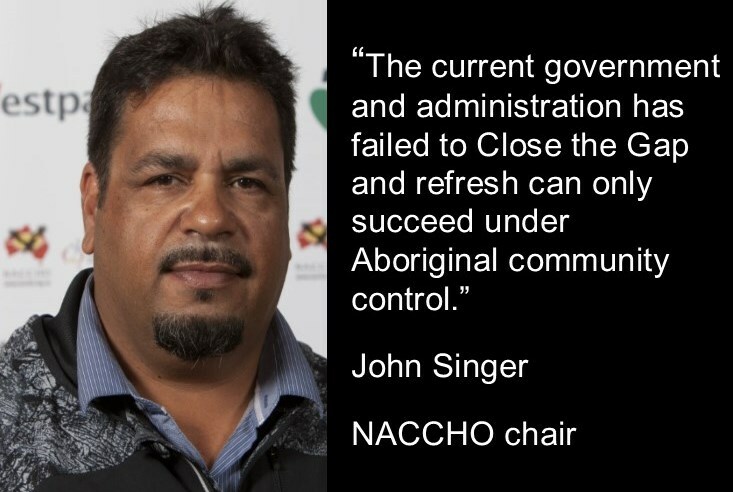 NACCHO Chairperson, Mr John Singer. 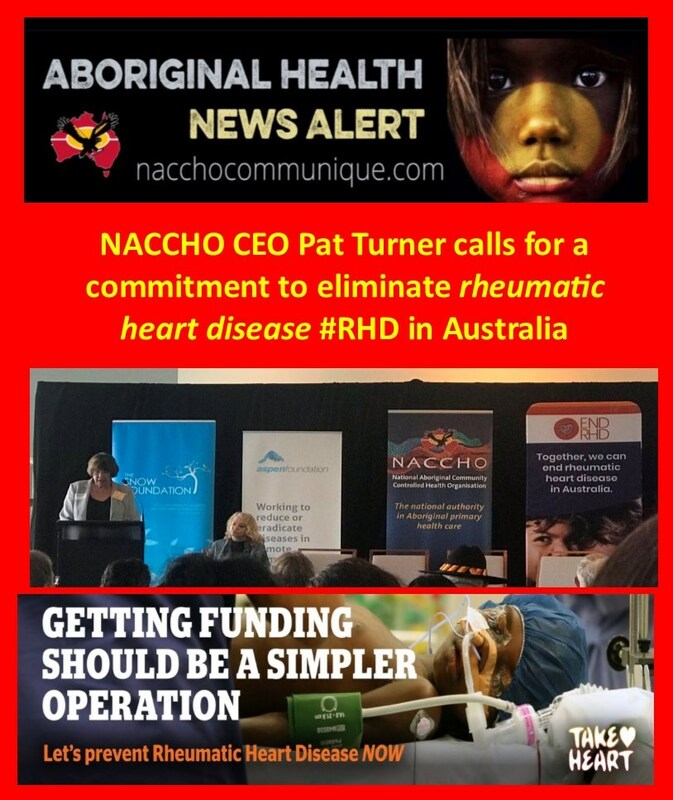 The National Aboriginal Community Controlled Health Organisation (NACCHO) calls for urgent and radically different action to Close the Gap. “The Council of Australian Governments’ (COAG) commitment to Close the Gap in 2007 was welcome. 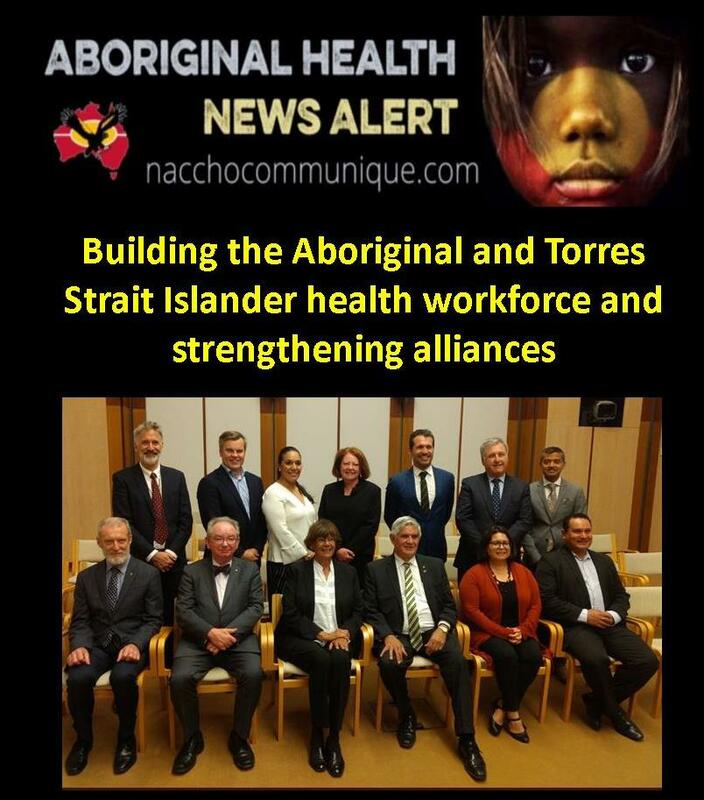 It was a positive step towards mobilising government resources and effort to address the under investment in Aboriginal and Torres Strait Islander peoples’ health”, said NACCHO Chairperson, Mr John Singer. “But ten years on the gap in life expectancy between Aboriginal and Torres Strait Islander peoples and non-Indigenous Australians is widening, not closing. Jurisdictions currently spend $2 per Aboriginal and Torres Strait Islander for every $1 for the rest of the population whereas the Commonwealth in the past has spent only $1.21 per Aboriginal and Torres Strait Island person for every $1 spent on the rest of the population. 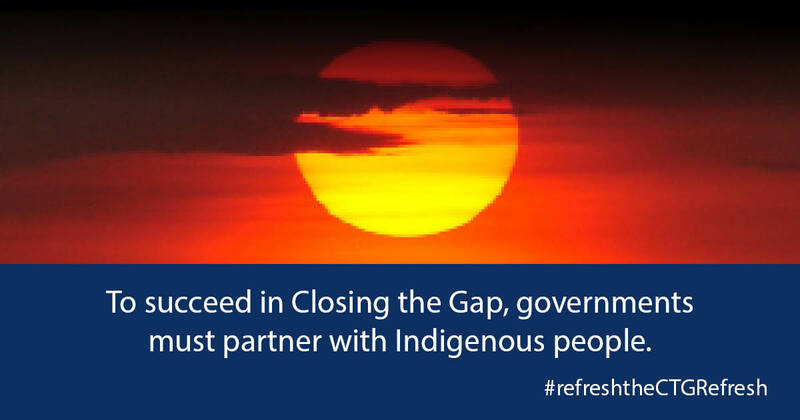 NACCHO calls for the Commonwealth to increase funding to Close the Gap”, said John Singer. 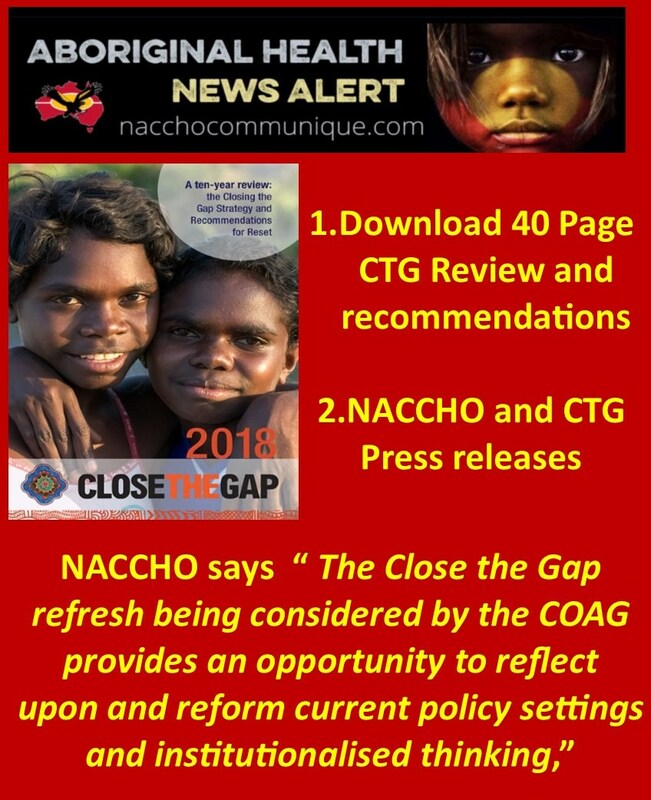 NACCHO is a proud member of the Close the Gap Campaign and stands by its report released today: ‘A ten-year review: the Closing the Gap Strategy and Recommendations for Reset’. The review found that the Close the Gap strategy has never been fully implemented. Underfunding in Aboriginal and Torres Strait Islander health services and infrastructure has persisted – funding is not always based on need, has been cut and in some cases redirected through mainstream providers. The role of Aboriginal Community Controlled Health Organisations (ACCHOs) in delivering more successful care for Aboriginal and Torres Strait Islander peoples than the mainstream service providers is not properly recognised. A health equality plan was not in place until the release of the National Aboriginal and Torres Strait Islander Health Plan Implementation Plan 2015, and this is unfunded. And despite the initial investment in remote housing, there has not been a sufficient and properly resourced plan to adequately address the social determinants of health. The framework underpinning the Close the Gap strategy – a national approach and leadership, increased accountability, clear roles and responsibilities and increased funding through National Partnership Agreements – has unraveled and in some cases been abandoned altogether. A comprehensive and funded Indigenous health workforce is required to improve the responsiveness of health services to Aboriginal and Torres Strait islander peoples and increase cultural safety. “There also needs to be a way in which NACCHO and other Indigenous health leaders can come together with COAG to agree a ‘refreshed approach’ to Close the Gap”, said Mr Singer. NACCHO has proposed to Government a way forward to Close the Gap in life expectancy and is looking forward to working with the Australian Government on the further development of its proposals. Australian governments must join forces with Aboriginal and Torres Strait Islander organisations to address the national shame of a widening life expectancy gap for our nation’s First Peoples. “It’s time for each State and Territory government to affirm or reaffirm their commitments made via the Close the Gap Statement of Intent. “Until now, the scrutiny has rightly been on the Federal Government regarding the need for it to lead the strategy and to coordinate and resource the effort. But it’s now time for state and territory governments to step up. 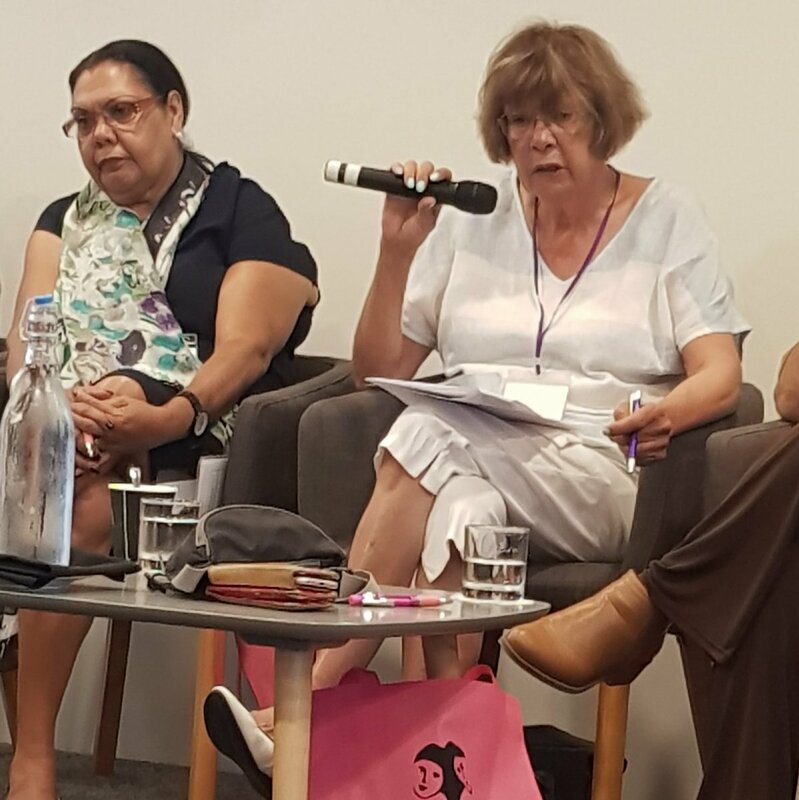 “We want to see Premiers, Chief Ministers, Health and Indigenous Affairs Ministers in every jurisdiction providing regular and public accountability on their efforts to address the inequality gaps in their State or Territory. 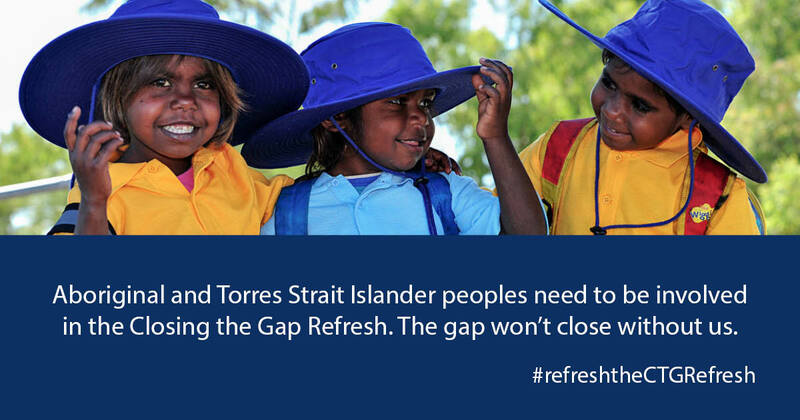 Closing the Gap Strategy would go through a ‘refresh’ process. Close the Gap Co-Chair and Co-Chair of the National Congress of Australia’s First Peoples Rod Little, said the refresh process is the last chance to get government policy right to achieve the goal of health equality by 2030. “The Close the Gap Campaign is led by more than 40 Aboriginal and Torres Strait Islander and non-Indigenous health and human rights bodies,” Mr Little said. “No other group can boast this level of leadership, experience and expertise. We stand ready to work together with Federal, State and Territory governments. We have the solutions. 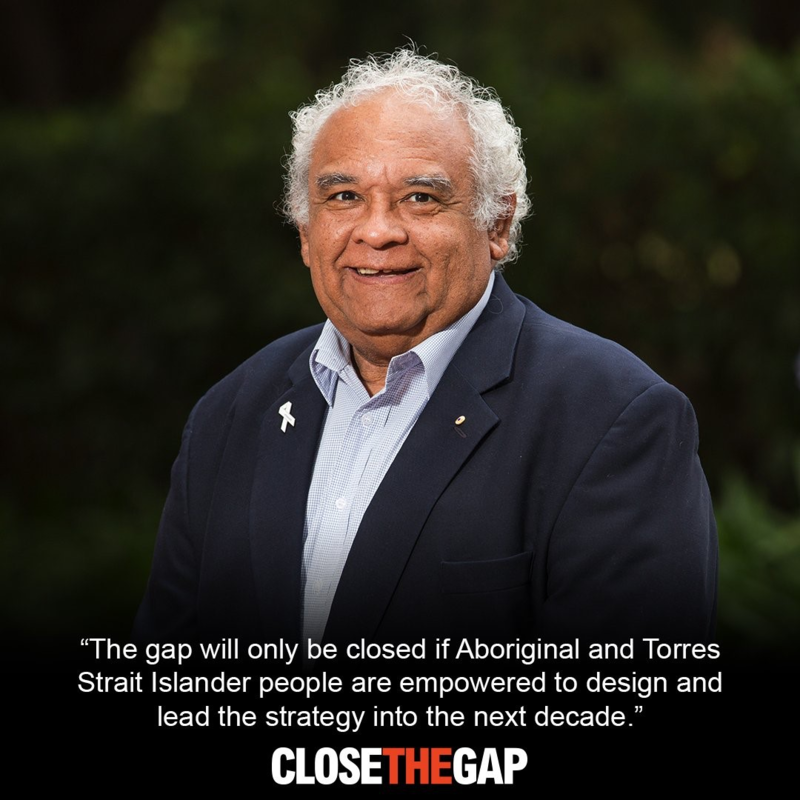 The Close the Gap Campaign Co-Chairs have warned that, without a recommitment, the closing the gap targets will measure nothing but the collective failure of Australian governments to work together and to stay the course. 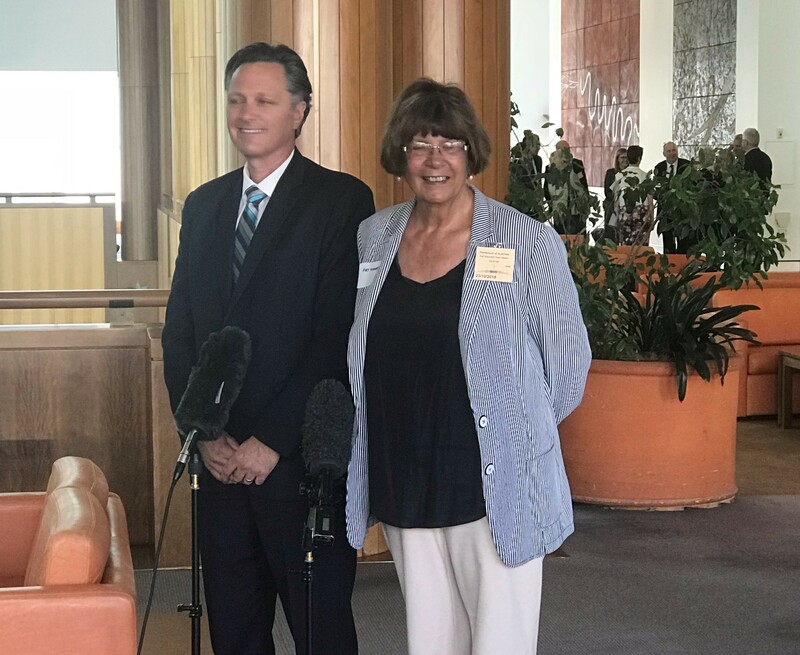 “While the approach has all but fallen apart, we know that with the right settings and right approach, including Aboriginal and Torres Strait Islander Peoples leading the resetting of the strategy, we can start to meet the challenge of health inequality, and live up to the ideals that all Australians have a fundamental right to health,” the Co-Chairs said. An effective health equality plan was not in place until the release of the National Aboriginal and Torres Strait Islander Health Plan Implementation Plan in 2015 – which has never been funded. The complementary National Strategic Framework for Aboriginal and Torres Strait Islander Peoples’ Mental Health and Social and Emotional Wellbeing 2017-2023 needs an implementation plan and funding as appropriate. There is still yet to be a national plan to address housing and health infrastructure, and social determinants were not connected to health planning until recently and still lack sufficient resources. The Closing the Gap Strategy focus on child and maternal health and addressing chronic disease and risk factors – such as smoking through the Tackling Indigenous Smoking Program – are welcomed and should be sustained. However, there was no complementary systematic focus on building primary health service capacity according to need, particularly through the Aboriginal Community Controlled Health Services and truly shifting Aboriginal and Torres Strait Islander health to a preventive footing rather than responding ‘after the event’ to health crisis. 2.Second, the Closing the Gap Strategy – a 25-year program – was effectively abandoned after five-years and so cannot be said to have been anything but partially implemented in itself. This is because the ‘architecture’ to support the Closing the Gap Strategy (national approach, national leadership, funding agreements) had unraveled by 2014-2015. 3.Third, a refreshed Closing the Gap Strategy requires a reset which re-builds the requisite ‘architecture’ (national approach, national leadership, outcome-orientated funding agreements). National priorities like addressing Aboriginal and Torres Strait Islander health inequality have not gone away, are getting worse, and more than ever require a national response. Without a recommitment to such ‘architecture’, the nation is now in a situation where the closing the gap targets will measure nothing but the collective failure of Australian governments to work together and to stay the course. 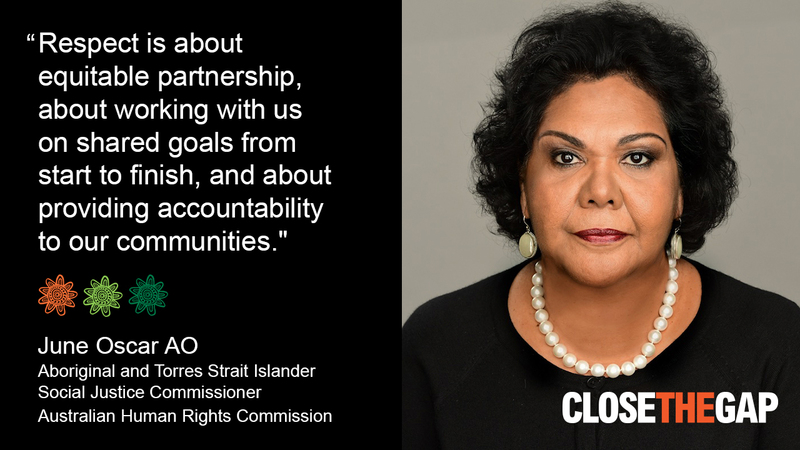 4.Fourth, a refreshed Closing the Gap Strategy must be founded on implementing the existing Close the Gap Statement of Intent commitments. 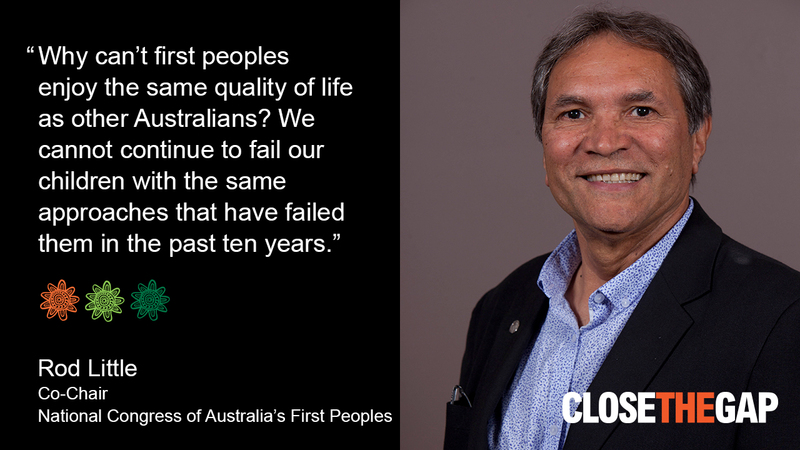 In the past ten years, Australian governments have behaved as if the Close the Gap Statement of Intent was of little relevance to the Closing the Gap Strategy when in fact it should have fundamentally informed it. It is time to align the two. A refreshed Closing the Gap Strategy must focus on delivering equality of opportunity in relation to health goods and services, especially primary health care, according to need and in relation to health infrastructure (an adequate and capable health workforce, housing, food, water). This should be in addition to the focus on maternal and infant health, chronic disease and other health needs. The social determinants of health inequality (income, education, racism) also must be addressed at a fundamental level. 5.Fifth, there is a ‘funding myth’ about Aboriginal and Torres Strait Islander health – indeed in many Indigenous Affairs areas – that must be confronted as it impedes progress. That is the idea of dedicated health expenditure being a waste of taxpayer funds. Yet, if Australian governments are serious about achieving Aboriginal and Torres Strait Islander health equality within a generation, a refreshed Closing the Gap Strategy must include commitments to realistic and equitable levels of investment (indexed according to need). Higher spending on Aboriginal and Torres Strait Islander health should hardly be a surprise. Spending on the elderly, for example, is higher than on the young because everyone understands the elderly have greater health needs. So, for the duration of the Closing the Gap Strategy Australian government expenditure was not commensurate with these substantially greater and more complex health needs. This remains the case. Because non-Indigenous Australians rely significantly on private health insurance and private health providers to meet much of their health needs, in addition to government support, the overall situation for Aboriginal and Torres Strait Islander health can be characterised as ‘systemic’ or ‘market failure’. Private sources will not make up the shortfall. Australian government ‘market intervention’ – increased expenditure directed as indicated in the recommendations below – is required to address this. 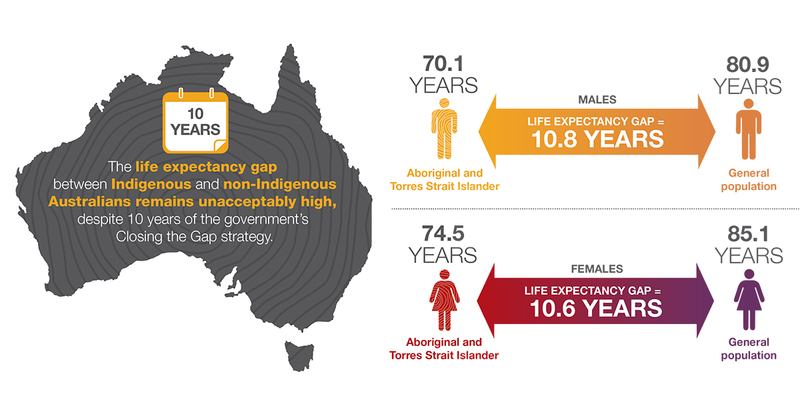 The Close the Gap Campaign believes no Australian government can preside over widening mortality and life expectancy gaps and, yet, maintain targets to close these gaps without additional funding. Indeed, the Campaign believes the position of Australian governments is absolutely untenable in that regard. 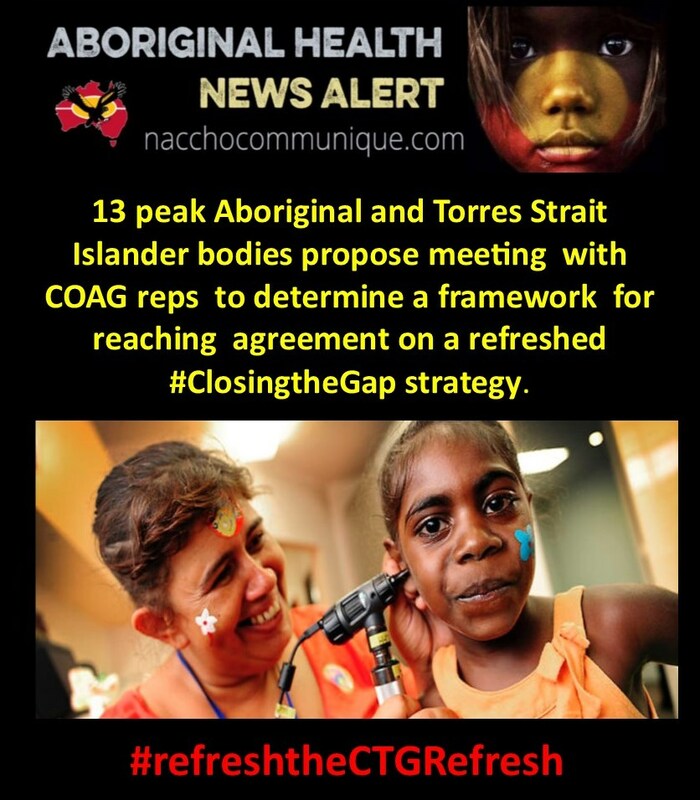 In considering these findings, the Close the Gap Campaign are clear that the Close the Gap Statement of Intent remains a current, powerful and coherent guide to achieving Aboriginal and Torres Strait Islander health equality, and to the refreshment of the Closing the Gap Strategy in 2018. 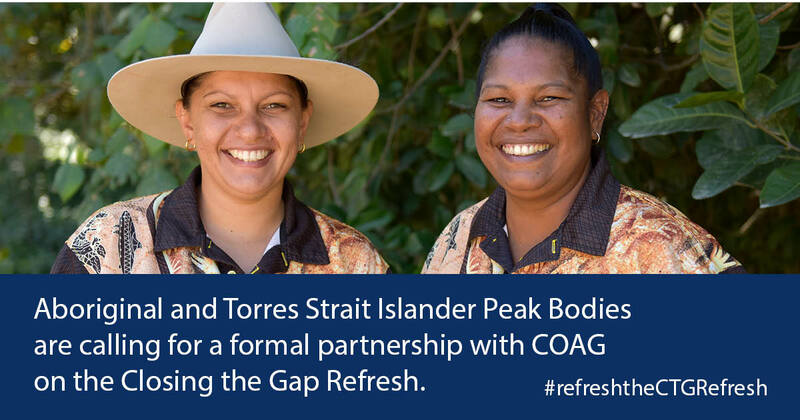 Recommendation 1: the ‘refreshed’ Closing the Gap Strategy is co-designed with Aboriginal and Torres Strait Islander health leaders and includes community consultations. This requires a tripartite negotiation process with Aboriginal and Torres Strait Islander health leaders, and the Federal and State and Territory governments. Time must be allowed for this process. Further, Australian governments must be accountable to Aboriginal and Torres Strait Islander people for its effective implementation. 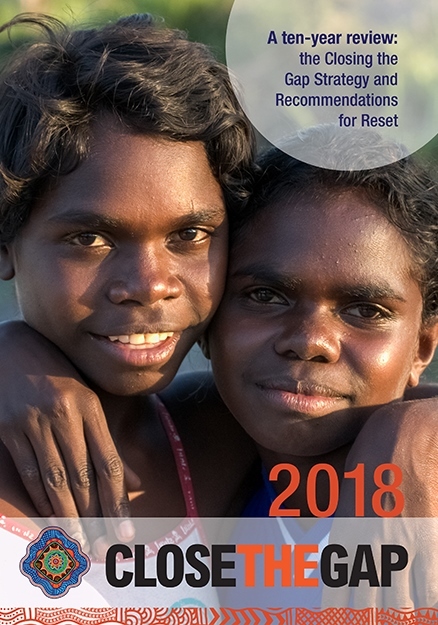 Recommendation 2: to underpin the Closing the Gap Strategy refresh, Australian governments reinvigorate the ‘architecture’ required for a national approach to addressing Aboriginal and Torres Strait Islander health equality. This architecture includes: a national agreement, Federal leadership, and national funding agreements that require the development of jurisdictional implementation plans and clear accountability for implementation. This includes by reporting against national and state/territory targets. 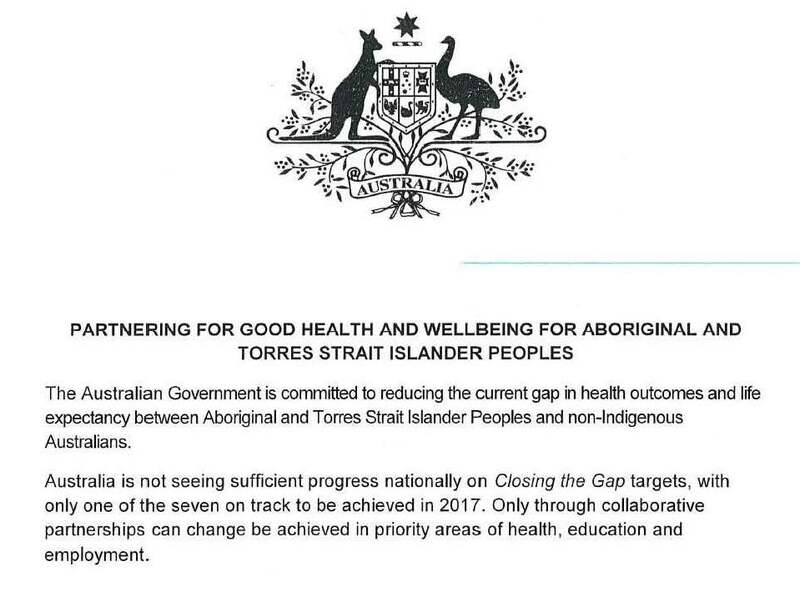 Recommendation 3: the Closing the Gap Strategy elements such as maternal and infant health programs and the focus on chronic disease (including the Tackling Indigenous Smoking program) are maintained and expanded in a refreshed Closing the Gap Strategy. Along with Recommendation 2, a priority focus of the ‘refreshed’ Closing the Gap Strategy is on delivering equality of opportunity in relation to health goods and services and in relation to health infrastructure (housing, food, water). Recommendation 4: the current Closing the Gap Strategy health targets are maintained, but complemented by targets or reporting on the inputs to those health targets. Health enabling infrastructure, particularly housing. A five-year national plan to identify and fill health service gaps funded from the 2018-2019 Federal budget onwards and with a service provider preference for Aboriginal Community Controlled Health Services (ACCHSs). This includes provision for the greater development of ACCHS’s satellite and outreach services. Aboriginal and Torres Strait Islander health leadership, Federal, State and Territory agreements clarifying roles, responsibilities and funding commitments at the jurisdictional level. Aboriginal and Torres Strait Islander health leadership, Primary Health Network and Federal agreements clarifying roles, responsibilities and funding commitments at the regional level. Recommendation 6: an overarching health infrastructure and housing plan to secure Aboriginal and Torres Strait Islander Peoples equality in these areas, to support the attainment of life expectancy and health equality by 2030, is developed, costed and implemented by the end of 2018. [i] Australian Institute of Health and Welfare 2016. Healthy Futures—Aboriginal Community Controlled Health Services: Report Card 2016. Cat. no. IHW 171. Canberra: AIHW, p. 40. [ii] Australian Health Ministers’ Advisory Council, 2017, Aboriginal and Torres Strait Islander Health Performance Framework 2017 Report, AHMAC, Canberra, p. 192. 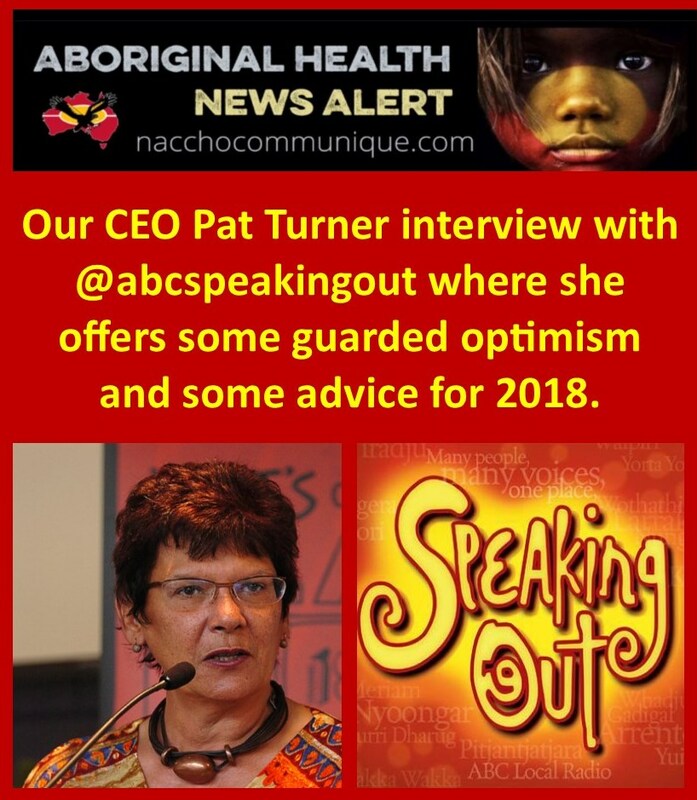 NACCHO Aboriginal Health CEO Pat Turner 20 minute Interview with @abcspeakingout where she offers some guarded optimism and some advice for 2018. “I think everything is so low, bottom of the scale, that 2018 can only be better in my view. 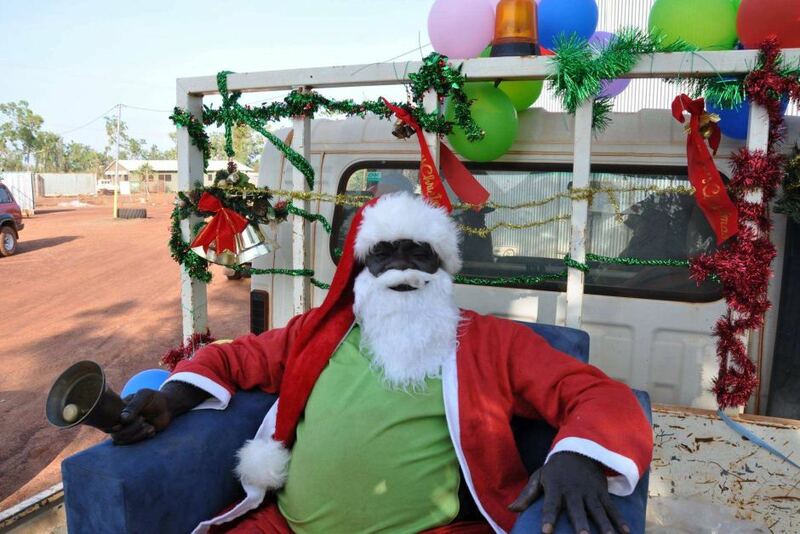 ” Despite there being a number landmark occasions in 2017, one of the country’s most senior Aboriginal Bureaucrats says there has been little to celebrate in the Indigenous Affairs sector in 2017. 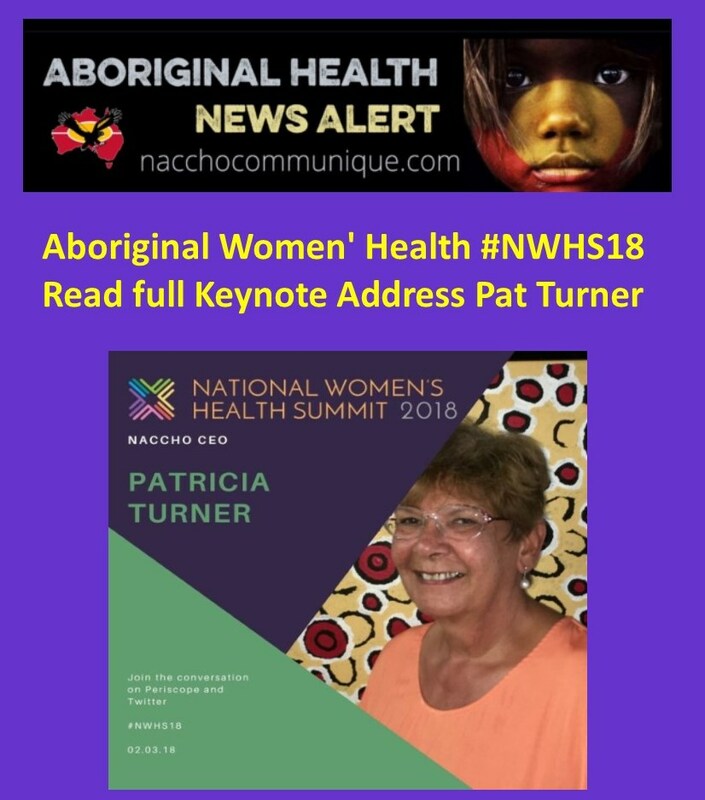 In a frank and honest Discussion, Pat Turner, CEO of the National Aboriginal Community Controlled Health Organisation (NACCHO) reflects on the key advances and shortcomings over the past 12 months. 2017 was a year of several significant anniversaries in Indigenous affairs. The 50th anniversary of the 1967 referendum. The 25th anniversary of the High Court’s Mabo decision. The 20th anniversary of the Bringing Them Home report. The 10th anniversary of the NT Intervention. An auspicious combination of anniversaries, each giving pause to reflect on the impacts of these events, and to ask the obvious question — how far have we come in 50 years? In 25, 20 or 10 years? The age-old Western belief in the inexhaustible march towards progress would make many assume that these issues have been addressed, or at the very least improved. This belief is evident every time you see someone say, “I can’t believe this is happening in 2017!” in reference to something they believe should now be a relic of a bygone era. It was hoped that 2017 would enter the history books as another significant year in Indigenous affairs, with the passing of a referendum to ‘recognise’ Indigenous people in the Australian constitution. Not only did this not come to pass, but the relationship between government and Indigenous groups feels like it may have reach a new low, unseen in decades. In 1967 Australia passed its most successful ever referendum, with 90.77 per cent of Australians voting “Yes for Aborigines”. This allowed for Aboriginal people to be counted in the census, and the Federal Government was given the power to make laws for Indigenous people. Up until that point, Indigenous people were the responsibility of the states, who each had their own laws and legislation defining and controlling the lives of Aboriginal people. Fifty years later, many people believe that this momentous occasion gave Indigenous people citizenship rights and the right to vote. It did not. It was also believed that the Federal Government would use their new powers solely to the benefit of Indigenous people. This too would prove to be false. Larissa Behrendt wrote in detail about these myths as part of the ABC’s Right Wrongs site, which explored the impacts of the 1967 referendum. Twenty-five years later, in 1992, the High Court handed down the Mabo decision determining that Australia was not Terra Nullius in 1770 when Captain Cook claimed the east coast of Australia. 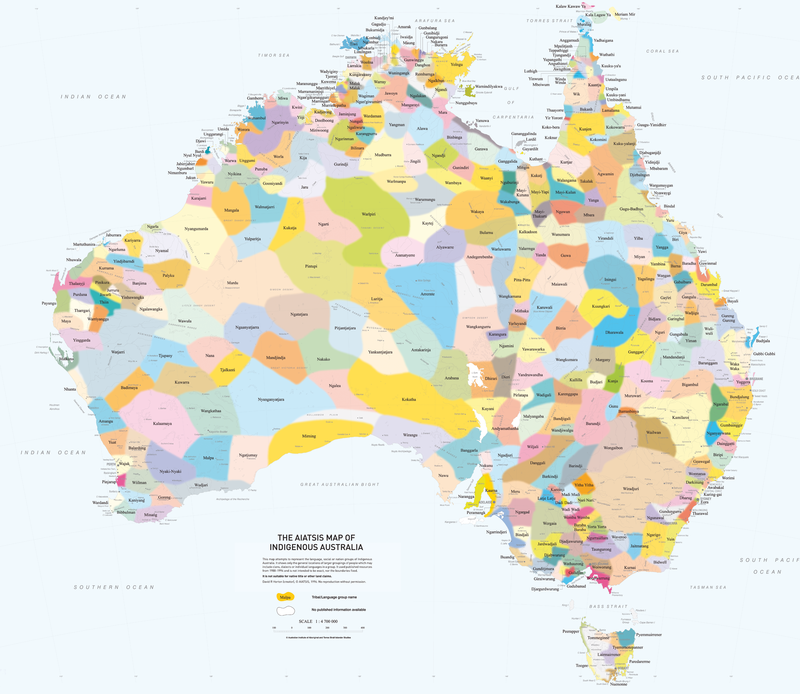 Terra Nullius was the legal justification for the very existence of the Australian state, so it as hoped this decision would bring about significant Aboriginal land rights. But it led to Native Title legislation instead. The Mabo case itself took over a decade, and the man who instigated it, Eddie Koiki Mabo, would not live to see its conclusion. Twenty-five years later though, his family are still fighting to keep his story alive and strong. Bringing Them Home was the name of the final report of the National Inquiry into the Separation of Aboriginal and Torres Strait Islander Children from their Families. It was tabled in Parliament on the May 26, 1997. The following year this date would become known as Sorry Day, and would provide a call to action for governments to implement the 54 recommendations of the report. The surviving members of the Stolen Generations still hold the stories from that shameful era. And members of each new generation of Aboriginal people forcibly removed from their families have their trauma compounded by this unaddressed history. The recommendations from the Bringing Them Home report are still largely unimplemented, and the rate of child removal has steadily grown in the 20 years since. The rate has doubled in the past decade, and every other month we see a headline warning of a “second Stolen Generation”. It’s a news story that has been on repeat for almost 20 years. The NT Intervention has largely failed to bring about positive changes around the issues raised in the Little Children Are Sacred report, which was used as the key justification for the NT Emergency Response Act. 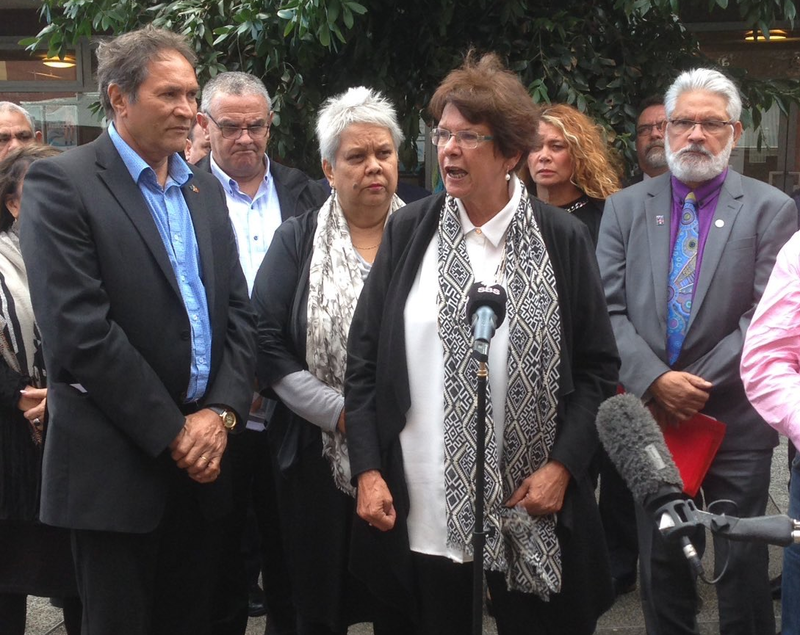 A group of eminent Australians from law, health, academia and the arts have called on the Federal Government to bring an immediate end to the Northern Territory Intervention and Stronger Futures policies. This disconnect between stated goals of respect, inclusion and Closing the Gap, and the actions and outcomes actually achieved, has come to embody Indigenous affairs in 2017. This has been personified by Prime Minister Malcolm Turnbull, since he took over the reins of government in September 2015. The end of 2017 seems to show a very different Mr Turnbull than the one who shed tears for the Stolen Generations at the start of 2016. Despite his inclination to open Indigenous affairs speeches speaking in Indigenous languages, this has failed to translate to an ability to listen to Indigenous people. 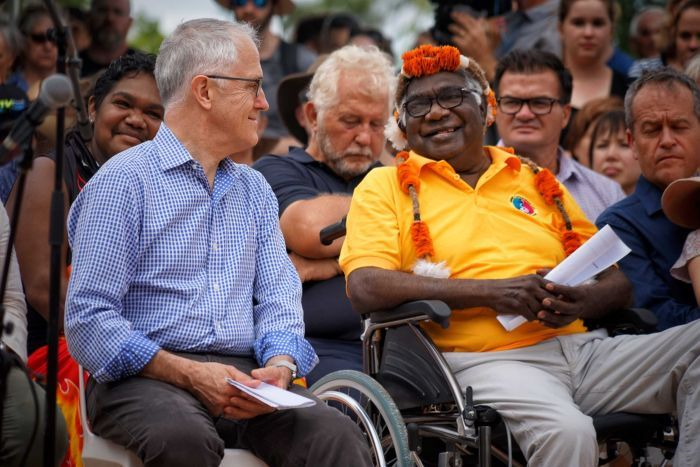 Given the long history of government failure to listen to Indigenous peoples, few held out hope that Mr Turnbull would make good on his stated desire to do things with Indigenous people, instead of to them. At the release of the ninth Closing the Gap report, six of the seven targets were not on track to meet their goals. “It has to be a shared endeavour. Greater empowerment of local communities will deliver the shared outcomes we all seek,” Mr Turnbull said, at the time. Now, months before the 10th report is due, the Federal Government has put out a call for community input into Closing The Gap. This prompted Referendum Council member Megan Davis to ponder on Twitter: “If they didn’t listen to what community said on Uluru and meaningful recognition, why would the government listen to input on this?”. The call for consultation coincides with a decision to remove over $600 million in federal funds for remote housing. Safe and appropriate housing is regarded as an essential criteria for governments to meet the Closing the Gap targets. While 2017 may not have given much hope for the immediate future of Indigenous affairs, National Aboriginal Community Controlled Health Organisation chief executive officer Pat Turner, offered some guarded optimism and some advice for 2018. 2017 has been a year of change, with many new members joining the NACCHO Board. 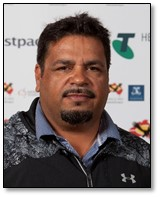 We have also welcomed a new ACCHO, Moorundi Aboriginal Community Controlled Health Service, to our membership. With change comes opportunity, 2018 will see many new and exciting developments as NACCHO continues to enhance better service for the sector.